Is Going “Gluten-Free” Better for My Health? — Beardy Boys, Inc.
You may remember a time when the only mainstream dietary concerns were vegetarianism and the Weight Watchers points our moms counted. Chances are that now we all know at least one person who follows (or has followed) a keto, paleo, vegan, raw-macrobiotic or gluten-free diet. While we could fill pages on each of these dietary and lifestyle choices, let’s talk about gluten today. Wait, what is gluten exactly? Gluten is a complex of proteins that occurs in certain cereal grains (specifically wheat, barley, rye, and their varietals). A few years ago, gluten was a word primarily familiar to bakers and gastroenterologists. You might have seen bags of vital wheat gluten on the baking aisle of the store near the bags of flour and cornstarch, or even at home if someone in your family was an avid cook. Think about commercials for pizza, where the stretchy white dough is tossed into the air, getting wider without breaking. That elastic quality is the result of gluten. Gluten is the glue holding that dough together. Without it, baked goods don’t rise or stretch as well, and often become drier and more crumbly. If you’ve ever eaten biscotti or a scone, just imagine that texture- but for everything involving flour. Okay, so is going “gluten-free” better for my Health? For most people, gluten isn’t something they ever need to worry about or need to cut out of their diets. It makes baked goods awesome, and is present in the cheapest and most readily available versions of these foods. And as the American Heart Association loves to remind us via boxes of Cheerios, whole grains are heart healthy. However, for a small portion of the population, gluten can be very, very bad. I’m referring to people who suffer from Celiac disease, an autoimmune disorder that makes it impossible for the body to digest gluten. When a person with Celiac does eat foods containing gluten, even in trace amounts (think crumbs of bread or sprinkles of flour), their immune system attacks the digestive tract, causing irreversible damage to the small intestine, as well as a host of other symptoms. It is these symptoms that lead many people to their ultimate Celiac diagnosis. Is Celiac disease common? How do you know if you have it? Don’t panic, because Celiac disease is rare. Global prevalence is 1.5%, and in North America it’s about 0.5%. It is also a hereditary condition, so if no one in your family has it, your chances of developing the disease are pretty low (but not impossible). These are very serious issues, not exactly things people would fail to notice or ignore. Although everyone experiences some of these issues from time-to-time, an undiagnosed Celiac will experience many of these issues chronically and simultaneously. What should I do if I’m experiencing a few of these symptoms? The only way to determine if you have Celiac disease is to see a doctor. The doctor can perform a blood test called the tTG-IgA screening. This test measures the amount of antibodies in your blood. In 98% of people with Celiac disease, the increased presence of these antibodies will lead to a diagnosis. A false negative is possible; if that’s the case, your doctor might order additional tests, but none of them are 100% accurate. There is also a genetic marker present in people with Celiac disease. If you don’t have this marker, you won’t develop Celiac disease. However, up to 30% of people with this marker don’t develop Celiac disease. Gluten is a complicated and tricky issue. If you suspect you might have Celiac disease, you have to get tested while you are still eating gluten, which seems counterproductive. However, when you cut gluten out of your diet, the doctor’s tests won’t work anymore. Of course, the genetic test isn’t affected by your diet, but as mentioned above, it’s not conclusive either. The only sure-fire way to diagnose Celiac disease is with an intestinal biopsy. Remember how I said a Celiac’s immune system attacks the body’s small intestine? It basically acts like a lawn mower, flattening their villi, the little fibers that allow your body to absorb nutrients. One reason Celiacs experience a wide range of health issues comes from malnourishment. The only way to know concretely if you have Celiac disease is a biopsy. But your doctor isn’t going to order one unless they’re fairly certain you have the disease. So, going gluten-free isn’t healthier for me if I’m not allergic to it? To be very clear, there is no evidence at all that a gluten-free diet is beneficial to anyone who doesn’t suffer from a gluten-related disorder. In addition to Celiac disease, there is a nebulous condition referred to as non-Celiac gluten sensitivity (NCGS) that mimics the symptoms of Celiac disease without causing intestinal damage. Evidence suggests that going gluten free can be detrimental to people who aren’t Celiac or gluten sensitive. 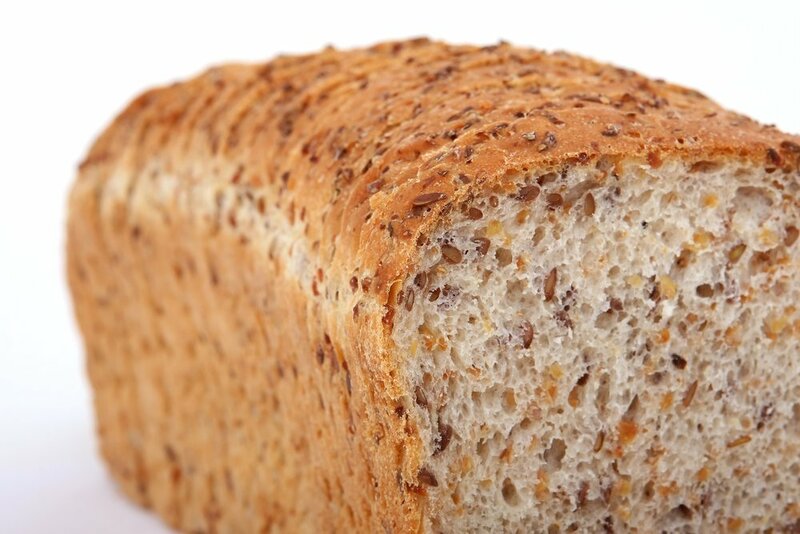 Cutting whole grains out of your diet can increase your risk of heart disease. Additionally, many gluten-free products in grocery stores are full of sugar, sodium and other fillers that you don’t really want to add to your diet in large quantities if you don’t have to. Plus, Americans are fiber deficient in general; taking away grains makes that deficiency much worse. If you don’t have a gluten sensitivity or allergy, going gluten-free won’t help you lose weight and it won’t make you any healthier. If you’re worried about your body and food though, there are options available to you. Visit an allergist and test for food sensitivities. If you really think gluten is the culprit, you can go to a gastroenterologist and ask for a blood test (as long as you’re still eating gluten). If these tests come up negative, but you are still experiencing issues, try an elimination diet (details on this below!). There are no quick and easy fixes to diet-related health issues. Elimination diets take time and effort. It’s also really hard to be 100% sure you’re cutting out something as pervasive as gluten. 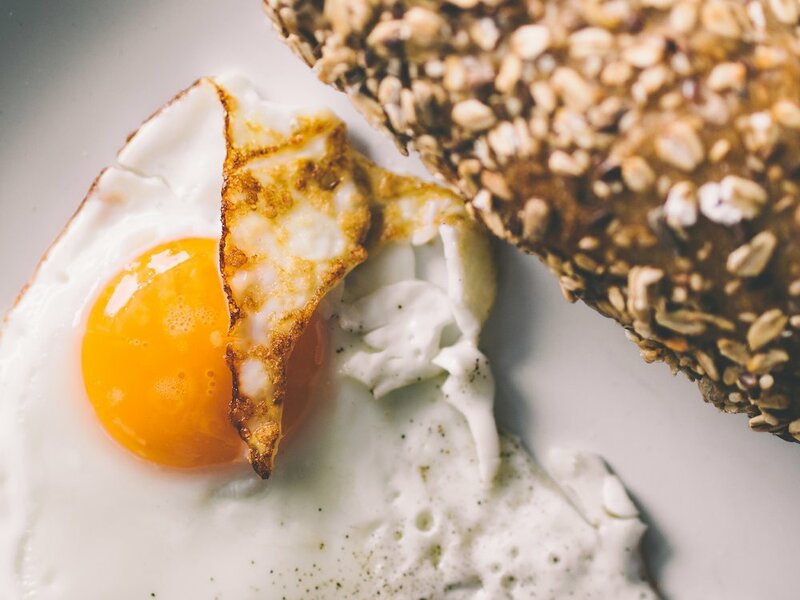 A true elimination diet cuts out the 8 most common allergens, which include: eggs, wheat, cow milk, tree nuts, peanuts, soy, shellfish and fish. With elimination diets, you avoid eating even trace amounts of these foods for a determined amount of time, often 4-6 weeks. Then, you gradually introduce them back into your diet at a rate of 1 per week. If your symptoms reappear after you reintroduce a food, you probably found your culprit. If you think gluten is the issue, try cutting just that out for a month and see how you feel. This is easier said than done, however, as gluten hides all over the place. Just be diligent about reading labels and cross contamination. For instance: soy sauce is processed with wheat, imitation crab meat contains wheat starch and malt is made from barley. All of these contain gluten. You need to avoid deep fried foods, as shared fryers will contaminate items like French fries which don’t contain gluten on their own. You also need to make sure you are getting enough nutrients, since fortified grains are responsible for a lot of the nutrition in our diets. Fiber and B vitamins are crucial to health. Make sure you are supplementing them in your diet when you cut out gluten. You’re in luck! Beardy Boys Pecan Butters happen to be gluten-free and available in four delicious flavors.